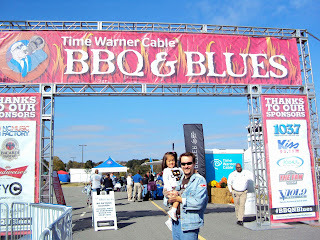 Since the grandparents were in town and the weather was nice, we decided to go to the Time Warner Cable BBQ and Blues Festival, today. 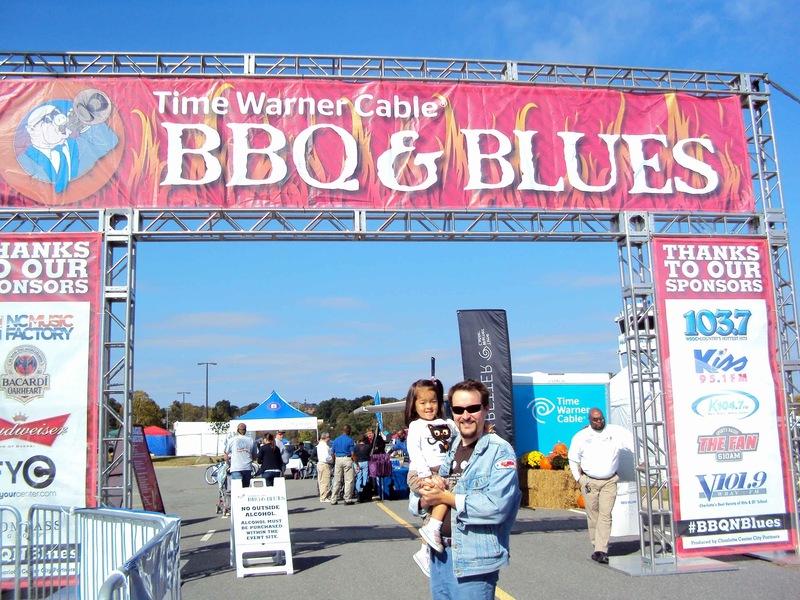 In the past, this festival was held in Uptown Charlotte was called "Blues, Brews and BBQ." However, now that it has a sponsor the name and location has changed. It's okay though, all the locals still refer to it by it's old name. I have to say, though, this year's festivities were a bit of a let-down. I don't know if we got there too early, or what- but there wasn't much of a crowd (not complaining!) and there wasn't a whole lot to do. There weren't many places to sit and enjoy some 'que and the music on the main stage was CRANKING (and not in a good way!!!! We didn't let the loud music deter us from enjoying some really good ribs and brisket from Mac's, though! We just found a grassy curb and dug right in- delish! As we were walking out of the festival, I took a spin at the 5/3 Bank wheel and ended up winning a hat and a chair! So, I'd have to say we had fun despite the lack of entertainment and in spite of the loud (bad) music!